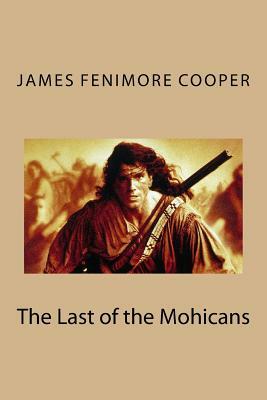 The Last of the Mohicans by James Fenimore Cooper While the French and Indians besiege Fort William Henry, Cora and Alice Munro, daughters of the English commander, are on their way to join him. They are accompanied by Major Duncan Heyward, Alice's fiance, and by the treacherous Indian Magua, who secretly serves the French. Magua plans to betray the party to the Iroquois, and to claim Cora as his squaw, but he is foiled by the scout Hawkeye and his companions, Chingachgook and his son Uncas, who deliver the girls to their father. After the fall of the fort, the girls are given safe passage by the French, but Magua captures them and they become prisoners of the Indians. To rescue Alice and Cora, Hawkeye and Uncas lead the Mohicans against the Hurons, an action filled with unforeseen consequences for all of them. The Last of the Mohicans is a story of romance and adventure on the American frontier. It is a story of love and loyalty, and of America's coming of age. We are delighted to publish this classic book as part of our extensive Classic Library collection. Many of the books in our collection have been out of print for decades, and therefore have not been accessible to the general public. The aim of our publishing program is to facilitate rapid access to this vast reservoir of literature, and our view is that this is a significant literary work, which deserves to be brought back into print after many decades. The contents of the vast majority of titles in the Classic Library have been scanned from the original works. To ensure a high quality product, each title has been meticulously hand curated by our staff. Our philosophy has been guided by a desire to provide the reader with a book that is as close as possible to ownership of the original work. We hope that you will enjoy this wonderful classic work, and that for you it becomes an enriching experience. the last of the mohicans book, the last of the mohicans summary, the last of the mohicans pdf, the last of the mohicans author, the last of the mohicans book review.